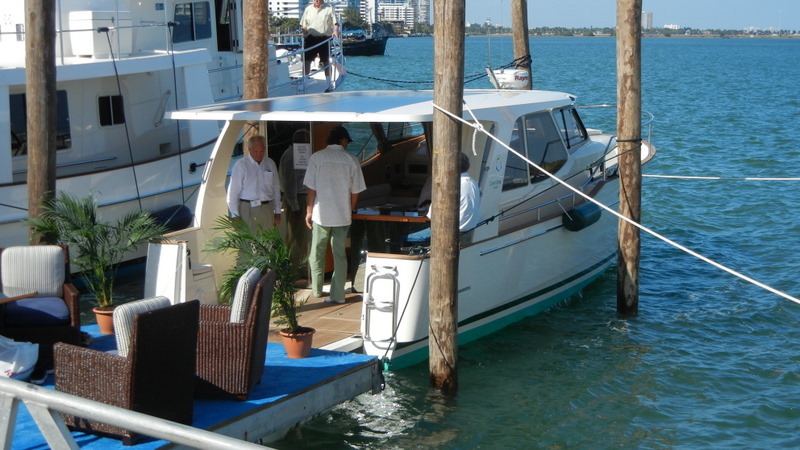 I spent the day at the boat show and learning the Miami MetroMover a free automated people mover train system that loops around downtown Miami. Trying to get back to Key Biscayne I did the central loop 3 times before discovering the electronic sign which said which train goes where. 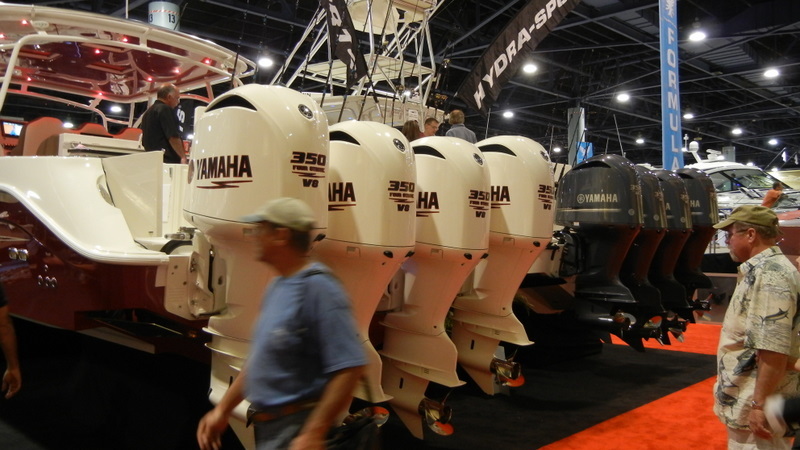 The boat show was fun. I got my Press Badge without any problem and toured the show looking for electric powered boats. They have a way to go before they replace the 1400HP quad outboard mounted on a 30 ft fishing boat. 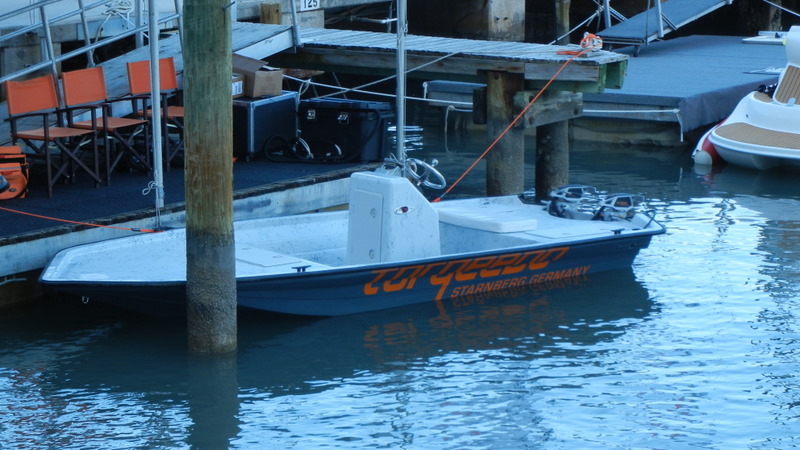 I did however, try out the Torqeedo fishing boat powered by two electric motors that can get the boat up on the plane. It took some getting used to the controls which are very sensitive as the engines go from stop to full power in an instant. I almost crashed it into a pile. The most beautiful electric boat was the European design Greenline 33 Hybrid. A solar-diesel-electric. It runs at trawler speeds. Made in Slovenia, the layout and interior finish of this boat is outstanding. I haven't seen such a fine boat since the Fjords from Norway in the 70's.